For those who love dark chocolate, nothing else will substitute. And if you are reading this, you are probably one of those people! 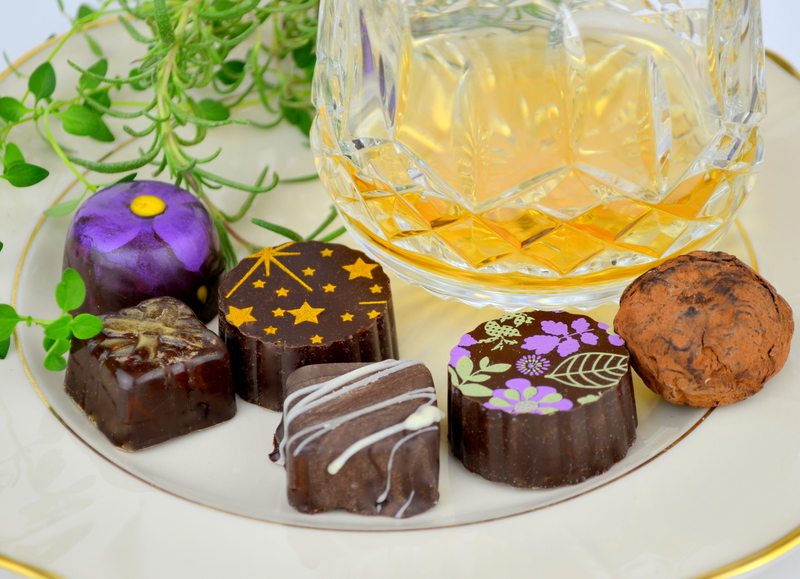 The delicious morsels we have concocted for you and collected together here represent six unique flavors. You will want to nibble and savor each one. The best method for tasting dark chocolate starts with its appearance. Look for a rich, even color. 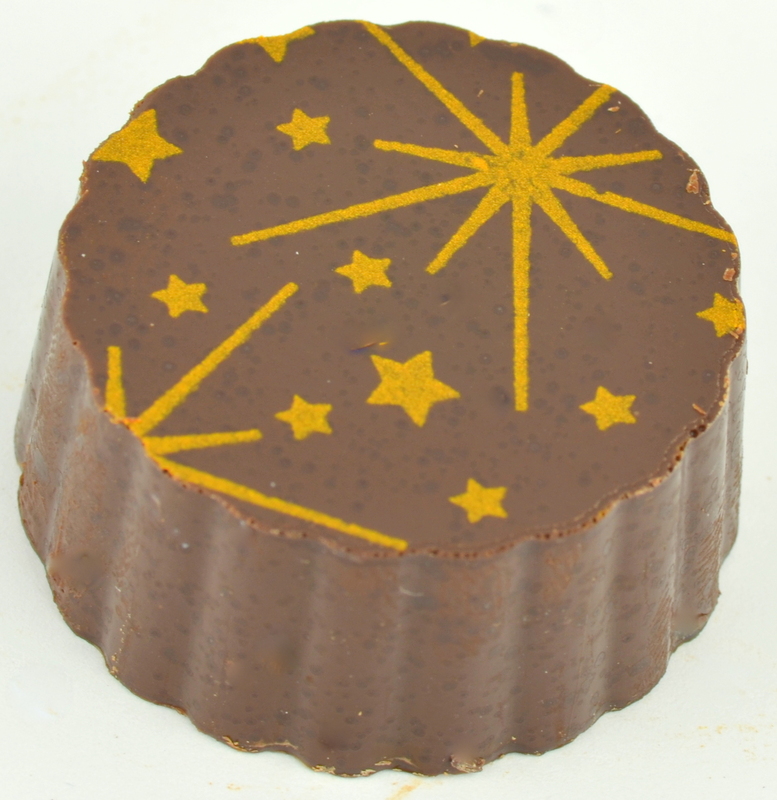 Chocolates which have been molded will also be shiny, but air-cured chocolates will be satiny. Next, allow yourself to inhale the intoxicating aroma. You might repeat this step after you’ve taken your first bite, when the filling and inclusions are in the open. 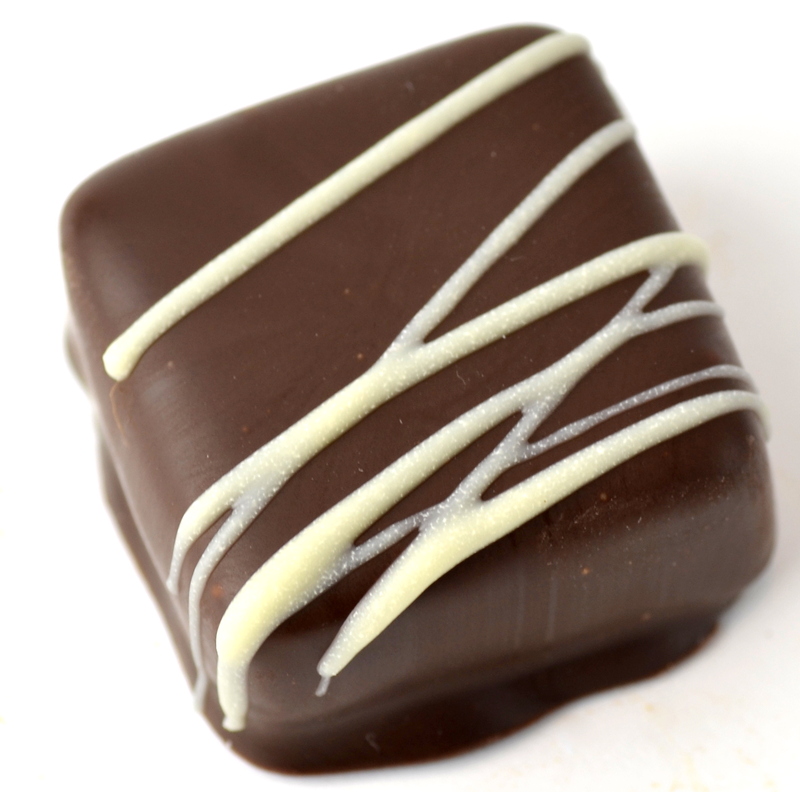 Speaking of that first bite, you know that dark chocolate needs to melt a bit in your mouth to release the flavors. 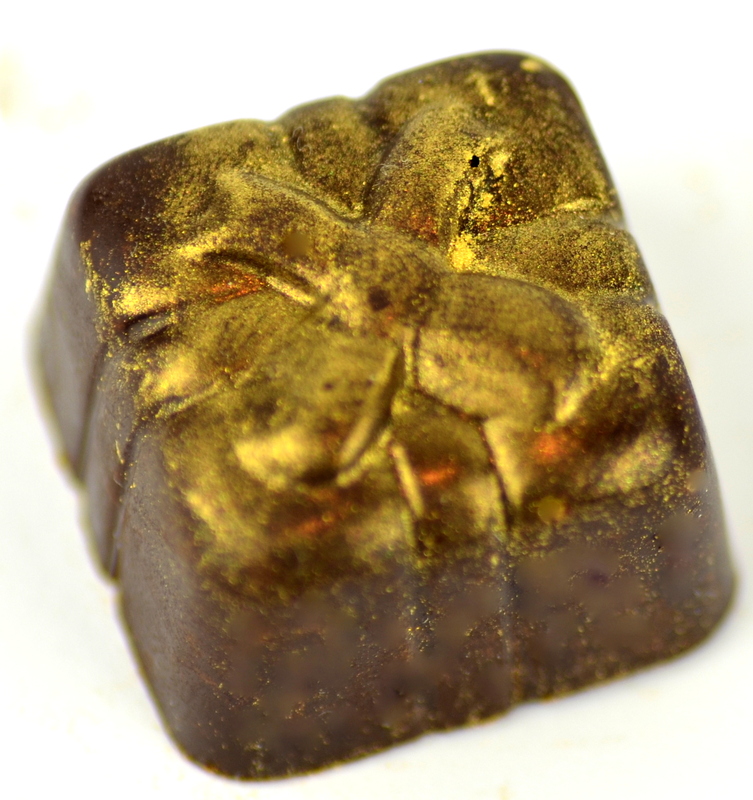 Cocoa butter melts at body temperature, so if you just crunch it up quickly you’ll be missing much of the flavor. If you’ve just taken it out of your pocket on a ski lift, you may need to extend that melting time to about a fourth of the lift ride. I am not kidding. Now that you’ve had that wonderful bite, enjoy the mouthfeel and flavor, and plan which one you’ll have next! 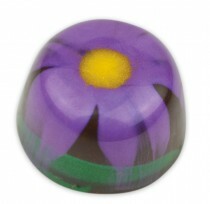 This ganache has a network of nut, fruit and flower essences in rich dark chocolate. Then dipped in more dark chocolate with a tiny drizzle of white chocolate for decoration. To build the flavor, we combined a raspberry puree which is reduced to create more intensity. Then we add key lime puree, which strangely mellows the flavor, creating a perfect counterpoint. Need we say more? Frankly it’s a big secret about how we get so much java flavor in this little package. It could be your new breakfast treat! We have received more than a few blank stares when we have described this confection to someone, only to see them get momentarily get lost in ecstasy after the first bite. 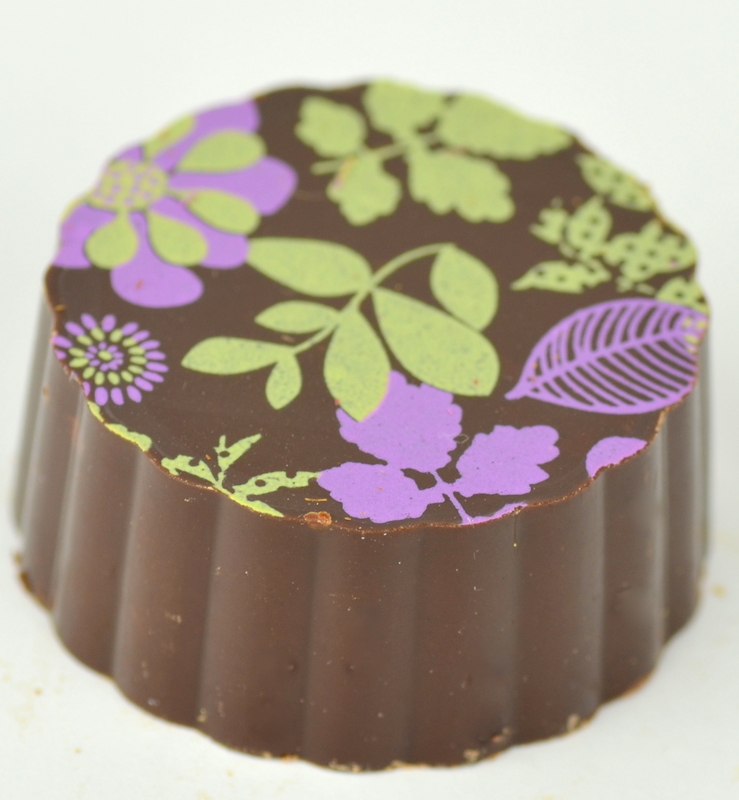 You may or may not explicitly taste the lavender, but it plays very nicely with the intense blackberry puree and deep, dark chocolate. Strawberries and champagne are combined together in this luscious, dairy-free two-biter. We then sparkled it up with a bit of gold dust on top of the 65% dark shell. Inspired by our recent chocolate tour in Italy, we mixed up toasted New Mexico pignolas with some local organic rosemary. Because dark chocolate is a big flavor, these elements stand up beautifully but still manage to shine through. Send us a note below and we will work out the details on delivering or shipping this delightful combination to you!